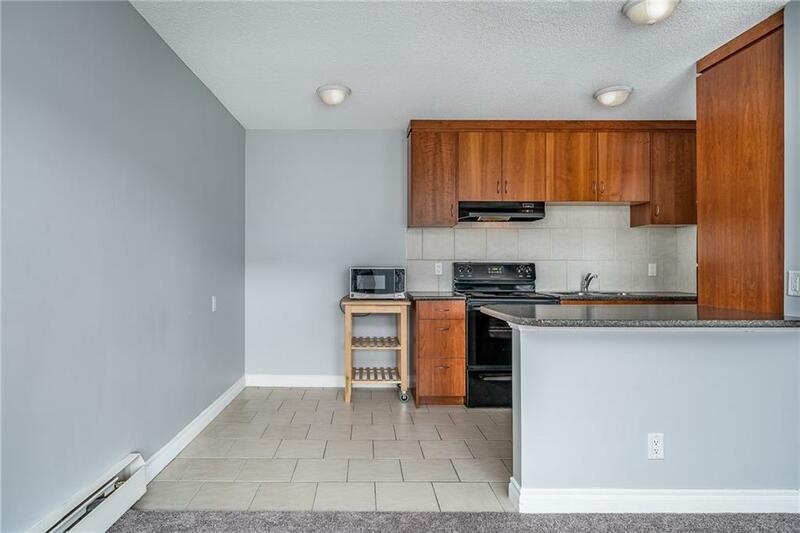 Welcome to your terrific investment opportunity situated in the heart of Downtown Calgary in the extremely desirable community of Sunalta. 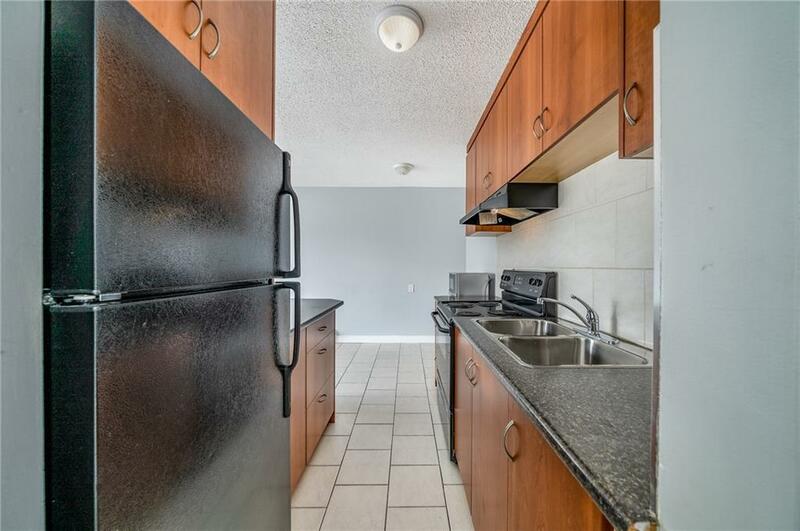 This updated, move-in ready, top floor condo offers a contemporary kitchen including full appliances, ample cabinet space and a raised eating bar. The spacious dining room opens in to the bright living room which has access to the sunny north facing balcony with stunning downtown views. 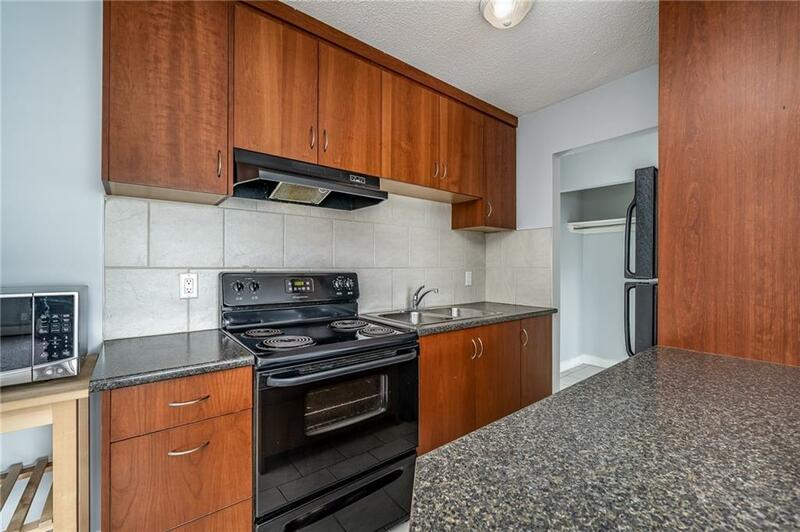 Completing this unit is a generous sized master bedroom, 4 piece bath, an in-suite laundry room with additional storage space and a convenient outdoor parking stall. 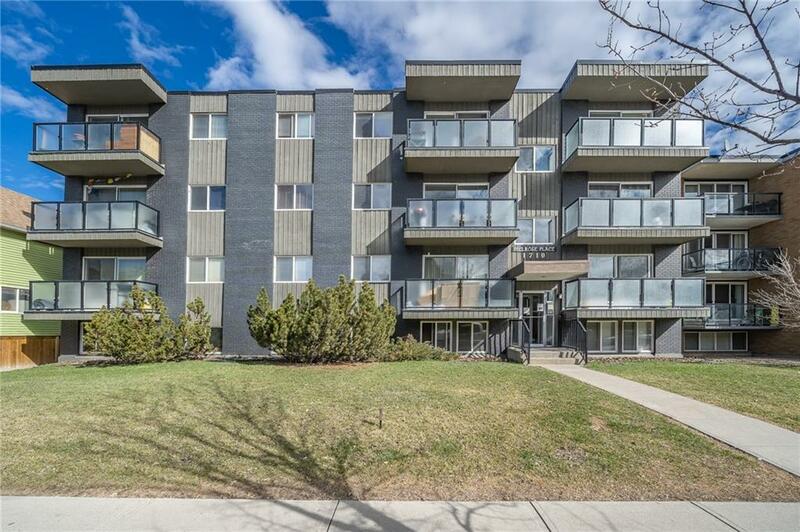 Incredible location, steps from the Sunalta LRT station, parks, schools, shopping, restaurants, bars, coffee shops, bike paths and other major amenities that makes this area such a hot spot. Dont miss out on this affordable opportunity for investors, business professionals and first time home buyers alike! PET FRIENDLY BUILDING!